Finale Emilia, 29 September 2017 – ABK is unveiling its latest projects and trends in a completely revolutionised 500 square metre stand divided into two macro areas: one is the Hub, or laboratory of ideas, where visitors can explore new ceramic materials; the other is the Lifestyle area where products are transformed by interior designers into accomplished expressions of living style, underscoring the versatility of large-size panels as furnishing surfaces. The new dimensions are changing the rules of design. 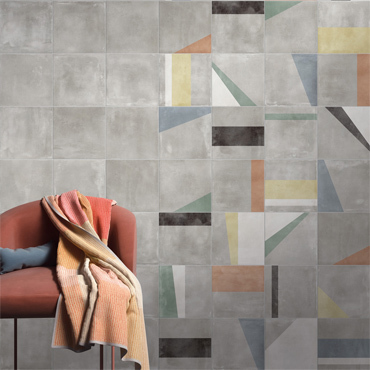 Just one year on from the debut of the WIDE collection, ABK is presenting fresh creative possibilities that set it apart from other companies specialising in large-size tiles. 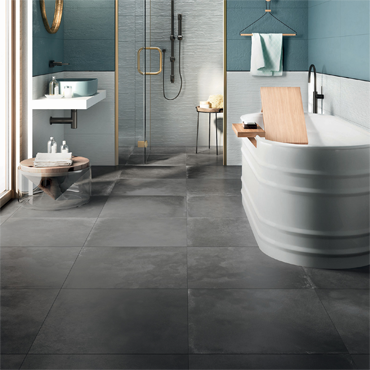 WIDE&STYLE is the on-demand project from ABK Ceramiche which brings together the technological and decorative qualities of large-size slabs and panels. 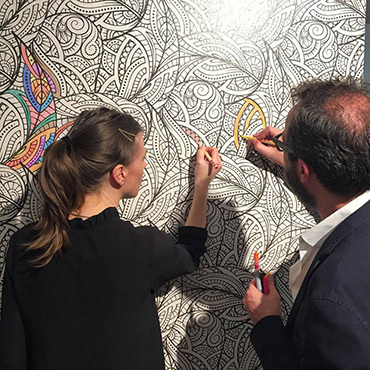 Working with a team of young designers, ABK creates its own distinctive Style based on a kaleidoscope of graphic ideas: geometries, floral patterns, the world of luxury and even a series of tile designs ready for colouring in keeping with the colouring book phenomenon, enabling visitors to enjoy an authentic colour therapy experience. SENSI WIDE, ABK's marble-effect ceramic tile collection, is expanding with the addition of rare and more decorative varieties such as Grand Antique and the prestigious white marbles White Dolomia and Stataturio Apuano, which are also available in an Endless Match version to guarantee continuity of the vein effect after installation. 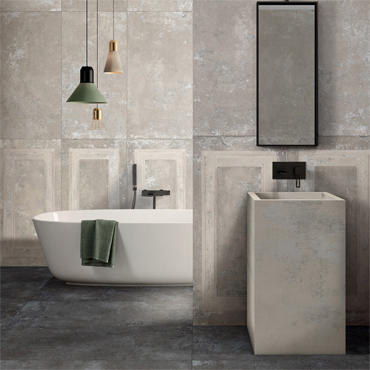 One of the most exciting new collections is GENT, inspired by the aesthetics of Pierre Bleue stone from the Flanders region and reproducing fascinating marked and timeworn surfaces. The product's informal elegance is enhanced by sophisticated textures and three-dimensional effects created by means of full HD digital technology. 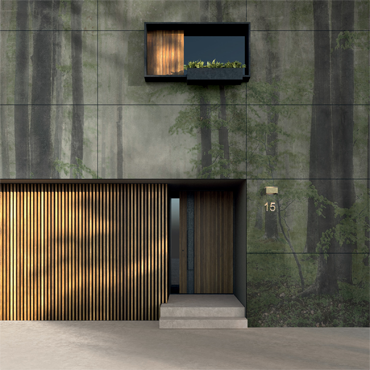 LAB 325 is a collection with an urban and contemporary style that emphasises the aesthetic variability of concrete. 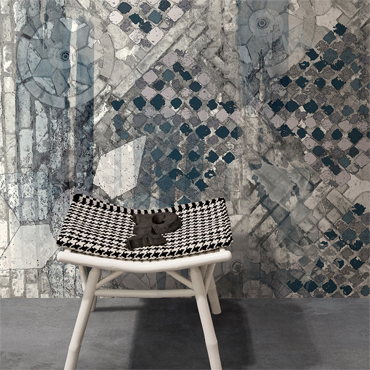 The various solutions present in the collection are inspired both by smoothed plaster surfaces and by the impressions that formwork leaves on concrete, as well as the decorative qualities of cement tiles.